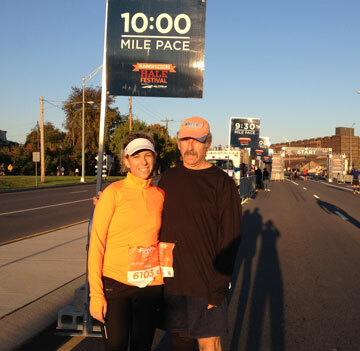 Running Festival in their own backyard in Bethlehem, Pennsylvania. We’ve just returned from a fantastic time at the Runners World Festival Half Marathon in Bethlehem, PA. We knew it was going to be a great weekend because Runners World was in charge! The festivities kicked off on Friday afternoon with excited runners picking up their bibs and stopping by the BRD SPORT measuring station to talk to Paul Kasper our physical therapist and is the MSPT Director of Virtua Sports Medicine Program. 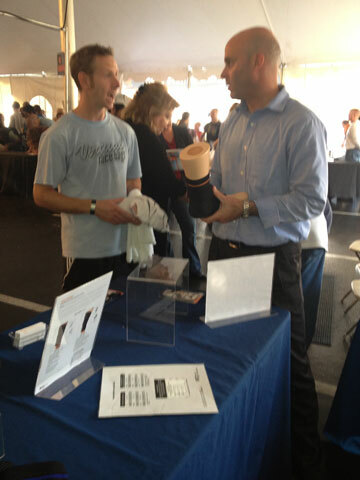 He was able to help injured and achy runners figure out which BRD Sport brace was best for them. One special runner we saw did not need to get a brace because he’s been wearing the BRD SPORT G18 Knee Brace for the past year. 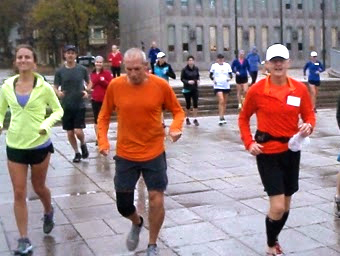 That’s right, famed Runner’s World, Chief Running Officer Bart Yasso kicked off his morning run with 30 bloggers in the BRD SPORT G18 Kne Brace on. The next morning runners started their day RAN A 5K, 10K or both. As runners finished their race they flooded the expo area. We loved hearing about their race, fitting them with braces, and getting feedback on their race while wearing a BRD SPORT Brace. #backonyourfeet. As I heard stories about the course I started to get really nervous. As you may know I’ve been training for my first half marathon. Everyone said the hills were killer! What do you expect when Runners World is designing the course. Why would they make it easy? As the day went on I wanted to take advantage of some of the seminars that were going on. So, I stopped in to meet the #runchat Guys. 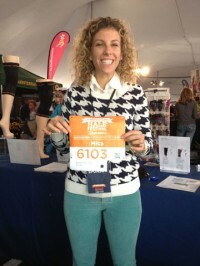 They discussed how they got started, what their goals are, and the running community. Thanks guys! Another highlight of the weekend was talking to John Atwood Editor at Runners World about BRD SPORT and about the Magazine. Finally, we finished off the day w/ a dinner with runners and staff of Runners World. I went back to my hotel room laid out my clothes and went to bed! I wanted to be fully rested for my big day. I woke up in the morning and stretched for about 30 minutes and ate a bowl of oatmeal with banana and nuts. (I read that in the latest issue of Runners World) It really did the trick. I started to hydrate. My dad and I went down to the race and it was so exciting to see everyone! 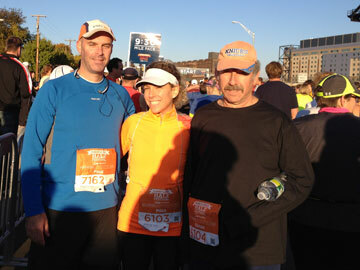 The pace team was getting into place, runners were starting to line up, and everyone was super excited. I have to say it was amazing to run with so many people we helped #getbackontherefeet. I was running and people were shooting, “thank you” or “look I’m wearing the brace”. I have to say my favorite moment was crossing the finish line in 2 hrs. 11 min and 14 seconds holding hands with my dad! 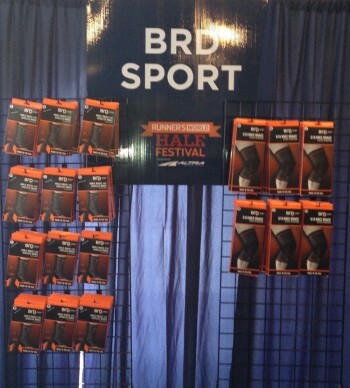 Thanks everyone for coming out and seeing us at RW Half Marathon Festival and see you in PHILLY!